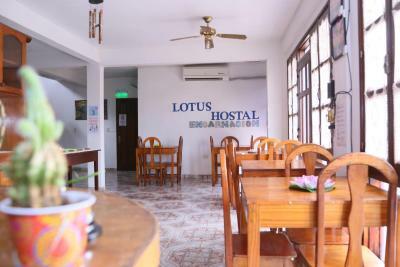 Lock in a great price for Lotus Hostal – rated 8.4 by recent guests! Victoria and her mum were so kind and literally the most helpful people I've ever met. They paid our taxi and added it to our bill at the end as we'd just arrived in Paraguay and didn't have the currency yet. Victoria made us a really great video explaining how to get to the Jesuit ruins (the bus stop is just outside the hotel). 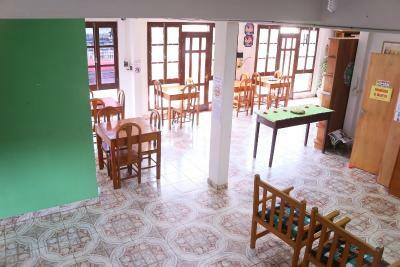 They have a really great attitude towards life and a beautiful hotel with the best breakfast I've had in South America! It's a 20 min walk to the beach and 10 mins to the centre, the hotel is over the road from a food court and supermarket and just down the road from that are some fantastic restaurants. Highly recommend staying here! The staff was great. one lady spoke excellent English and provided all kinds of info. We were particularly impressed when on short notice, they made a curtain and installed it, in order to block the light of a an exterior security light. We liked the breakfast. It had different kinds of fruit as well as cheese and ham. Victoria was a fantastic host, she was friendly and helpful and her English was perfect. Breakfast was home cooked and there were lots of tasty treats. Nie habe ich in einem Hotel eine solche Hilfsbereitschaft kennengelernt, wie im Lotus Hotel. Wir kamen an einem Feiertag an, weswegen die Geschäfte nur unten am Strand offen hatten. Dort wurden wir hingefahren, bekamen eine Restaurant Empfehlung und wurden wieder abgeholt und bekamen noch eine kleine Führung. Die Zimmer sind gut und das Frühstück war sehr lecker. Sehr weiterzuempfehlen!! Très bon petit déjeuner. Très bon rapport qualité/prix. Les propriétaires sont très sympathiques et très serviables. 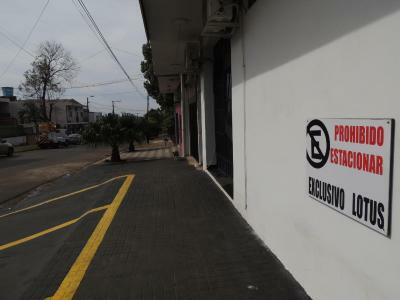 Muy cálido el lugar y su personal. Supero mis expectativas teniendo en cuenta precio calidad. Viaje con toda mi familia y nos sentimos muy a gusto. O lugar é simples, mas muito limpo. O café da manhã é muito bom. O atendimento é espetacular, mãe e filha são atenciosas, e deixam os hospedes seguros com suas dicas e ajudas para passeios. 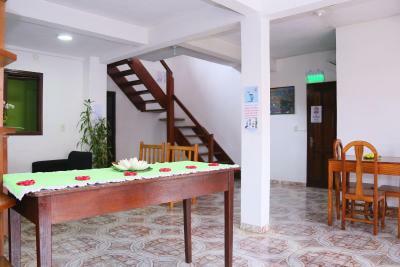 Lotus Hostal offers affordable accommodations in Encarnación. 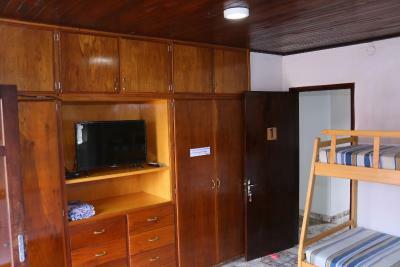 All rooms are fitted with air conditioning and a TV featuring satellite channels. 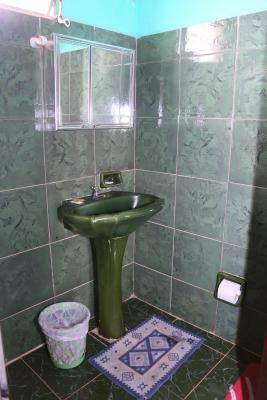 Rooms include a private bathroom fitted with free toiletries and a shower. Guests will find a 24-hour front desk at the property. 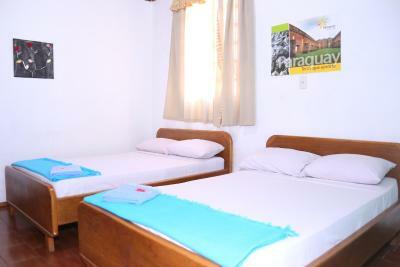 Posadas is 4.3 mi from Lotus Hostal, while Bella Vista is 27 mi away. 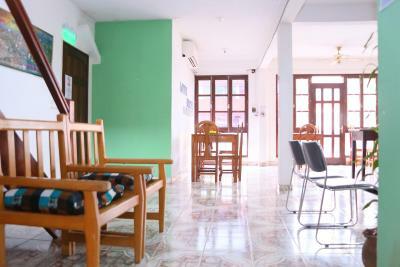 When would you like to stay at Lotus Hostal? 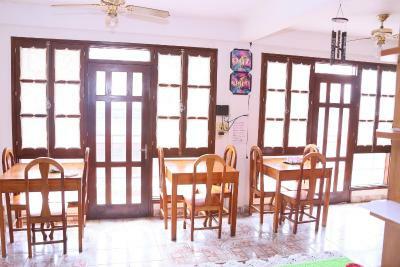 House Rules Lotus Hostal takes special requests – add in the next step! 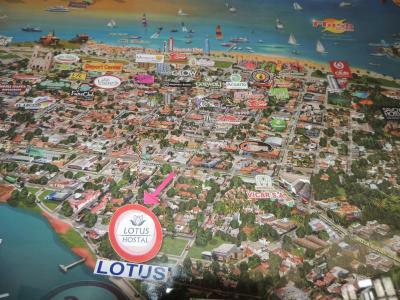 Lotus Hostal accepts these cards and reserves the right to temporarily hold an amount prior to arrival. Nothing at all, it was perfect!